Goldie, age 10, has found his forever family! His new mom, Dorothy, checked in the morning after his adoption with this update, and we think her words make for the perfect adoption announcement. "Our Sweet Goldie is now home, and will be with us until his last breath. His disposition is so much like my Sweet Oliver, I feel this was meant to be. " We couldn't agree more! 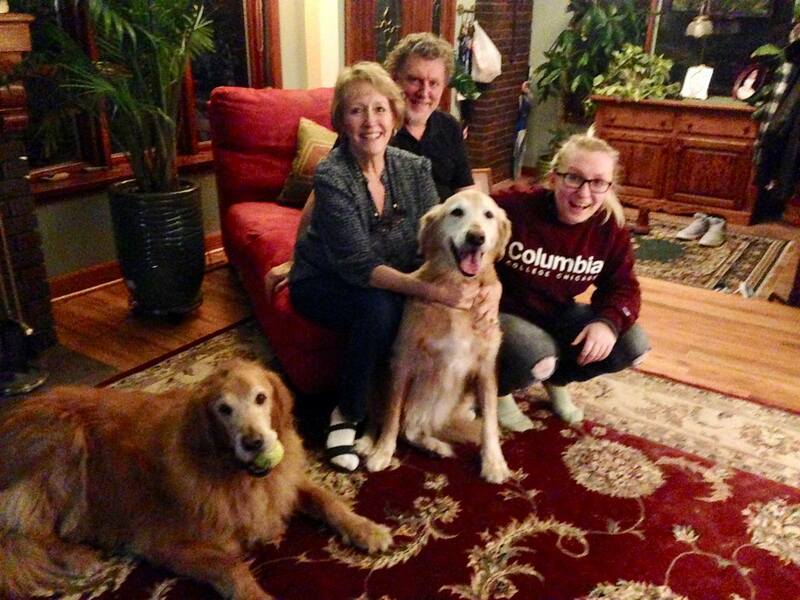 Thank you to Dorothy and her family for giving Goldie a happily ever after. Welcome to the Young at Heart family of adopters! Goldie, you are the best!